You probably already know that Techno Classica is in scale the largest exhibition in Europe when it comes to vintage and classic cars, so there is still a lot to share with you. Last report we were at the ‘card board’ replica palace. Around it several very special cars were exhibited that have been driven in the Mille Miglia. One of the most iconic superstars was the Mercedes 300 SLR. Juan Manuel Fangio was second on the stage of the 1955 Mille Miglia with this German marvel. More sporty icons were a Ferrari 750 Monza, a highly original Lancia Beta Montecarlo Turbo, Fiat 8V Zagato, Maserati 300 S, Maserati A6GCS, a Porsche 550 Spyder, etc. Another part of the exhibition was the upstairs hall where a lot of clubs found their spot. By the way, I have not even seen the entire exhibition in one day, sadly. While making a short walk around the clubs, I was first not so impressed, but then I found a Facel Vega stand. I can’t resist taking a photo each time I see one. I have the exact same habit when it comes to Miuras… I was totally happy after I had also found the Lamborghini stand, with a super nice green Miura SV. Sorry, but I sometimes have a hard time sticking to my subject, so back to the clubs where I found a number of fabulous Fiats, a Fiat 1100 Boano and Fiat 1100 TV coupe Pininfarina. Since Halle 6 was for me the best part of this event I rushed back there, because I needed a nice Stirling Moss helmet. 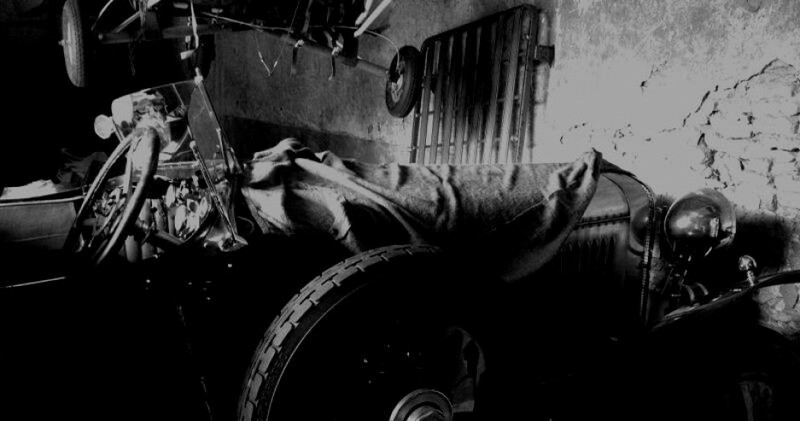 I must drive my Amilcar CGS in style, so then of course you go to CHAPAL from Paris. They had exactly what I had in mind, and when it comes to clothing and equipment for drivers, this is the creme de la creme with only the best leather and great comfort when wearing it. You can even customize exactly how you want your helmet with matching goggles. I can ensure you this is not easy, since there are so many wonderful options. I found my Stirling Moss helmet with goggles, so I was happy and ready to discover another Mille Milgia star. A dear friend, who is a true rally king, owned this great 1949 Talbot Lago T26 Grand Sport. He had driven the Mille Miglia with it and it was most pleasing to see this car, which has changed a bit in the meantime. It was a great corner of the show, where I spoke with a Maserati collector and discovered a smashing Bugatti T44 with body by Ghia, which had a soft dans son jus look. But the price for this gem was… Whew! Close to it was a Lamborghini Diablo SE30. I wonder if that was the purple one that I saw in Paris at Artcurial? I don’t really like the purple color, but somehow I had to stop to stare at it. Dealers who always bring very fine cars are, among others, Axel Schuette, who brought again a gorgeous Cricklewood Bentley 8 litre and even an SSK. But when it comes to fine cars, I must absolutely mention the Dutch company Strada e Corsa. As Italian as it sounds, they obviously bring Italian cars, like an Alfa Romeo 1600 GTA Stradale, Alfa Romeo GTV6 2.5 Auto-Delta/Jolly Club, Lancia Flaminia 2,5L Touring Coupé Superleggera, Maserati 3500 GT by Touring, an Osca … I believe and Alfa Romeo 1600 Giulia Sprint Speciale with a hidden surprise… If you can find the opening, then there is a minibar in it right behind the backseat! The story who installed this great idea is still a mystery. I have seen the one-off BMW-Glas 3000 V8 before in Maastricht, but never an actual Glas automobile. Lovely cars and like the one-off V8, Glas produced several great cars before being taken over by BMW. Since I like some educative stuff very much, I was happy to see a great Jaguar engine, I believe one of a XJS. Not just an engine, but one that gives you a great view of the inside of this fabulous engine. And, not to forget, the E-Type body exposed next to a wall with all the components of the body. I know people sometimes are driven crazy by all those Porsches and Ferraris, but please allow me to say that I like the Ferrari 250 GT Berlinetta Lusso and F40 so much. Before I continue, I must tell you that I thought I would make 3 parts, but I see that I need one more… So the Essen tour is not over yet!